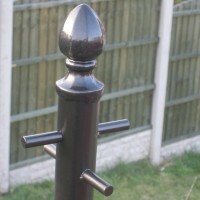 Ornate style washing pole - Heavy duty line post complete with tie off cleat and loop. 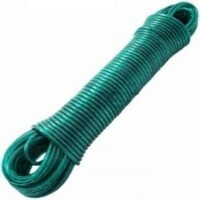 These washing poles are stocked in 2.4metre lengths although as we are the manufacturer, they can be made to any size you require, please just ask. Optional ground socket available – Allows post to be removed when required, in the winter for example or can also used in softer ground to achieve a stronger fixing. 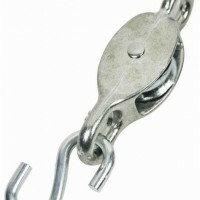 Ornate style washing pole - Heavy duty line post These washing poles are stocked in 2..
Galvanized steel pulley wheel complete with ‘S’ hook for raising and lowering washing lines. Reco..